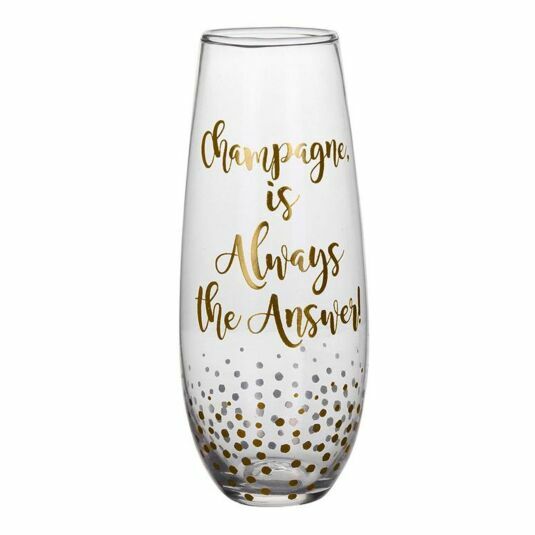 The glamorous design features shimmering gold dots at the base with the humorous words ‘Champagne is always the answer’ across the front in a stylish gold ribbon font. Great for celebrating any occasion, this glass comes presented in a stylish box, making it the perfect gift for any champagne lovers you may know, such as your wife, husband or parents. A great idea for mother’s day, Christmas and birthdays!